An Apple store in Zurich, Switzerland was temporarily evacuated on Tuesday after an iPhone's battery at the service desk overheated in the middle of a removal procedure, emitting smoke and burning the worker who was doing the work. Besides the technician that burned his hand, in all seven people received medical help, Reuters reported. Local police noted that about 50 workers and customers had to leave the shop. "The staff responded well and correctly," police added in a statement. "It sprinkled quartz sand over the overheated battery so that the smoke could be contained and sucked out after switching on the ventilation." Forensic specialists were brought in to determine the cause of the fire. It's most likely the battery was damaged either by the owner prior to the service procedure or during the removal procedure, igniting the electrolyte used in lithium-ion batteries from every manufacturer. 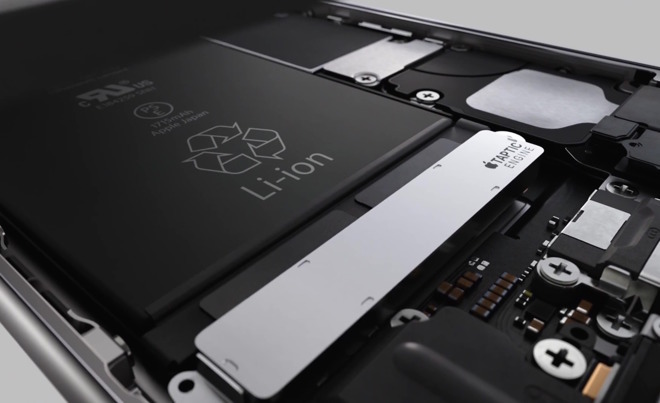 Apple recently admitted that it throttles the performance of iPhones with chemically depleted or damaged batteries to protect against sudden shutdowns that can damage electronics. Many people are likely taking advantage of $29 out-of-warranty battery replacements offered to appease the public.